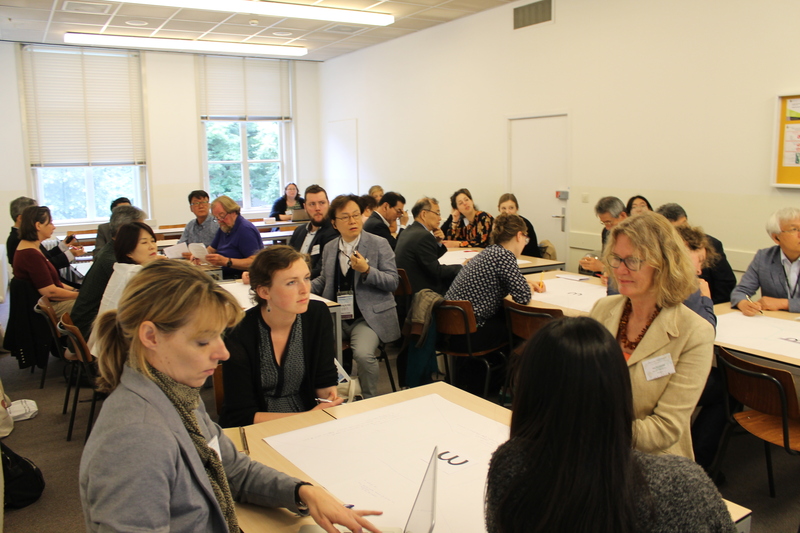 A unique gathering of educators and civil society practitioners from East Asia and Europe to explore the role of international cooperation, history education and civil society in establishing sustainable peace in East Asia in dialogue with Europe. 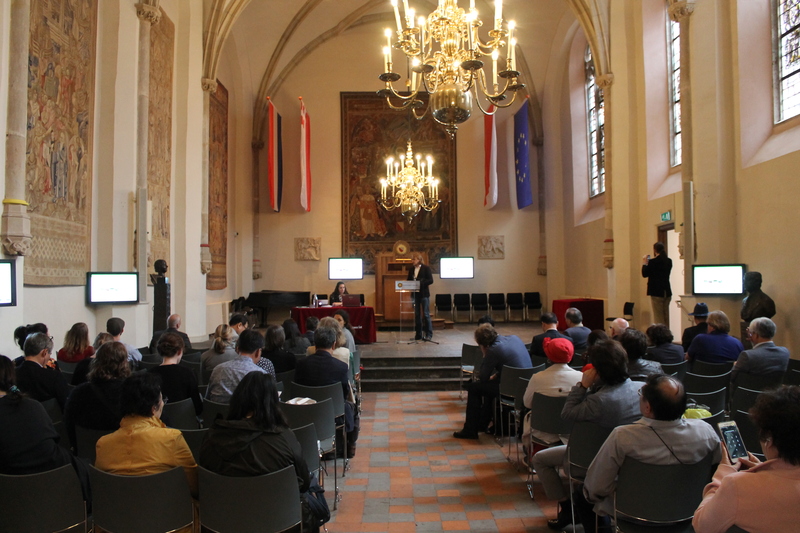 EUROCLIO, was the proud and selected host for the International NGOs Forum on History and Peace in Leiden, Utrecht and The Hague. 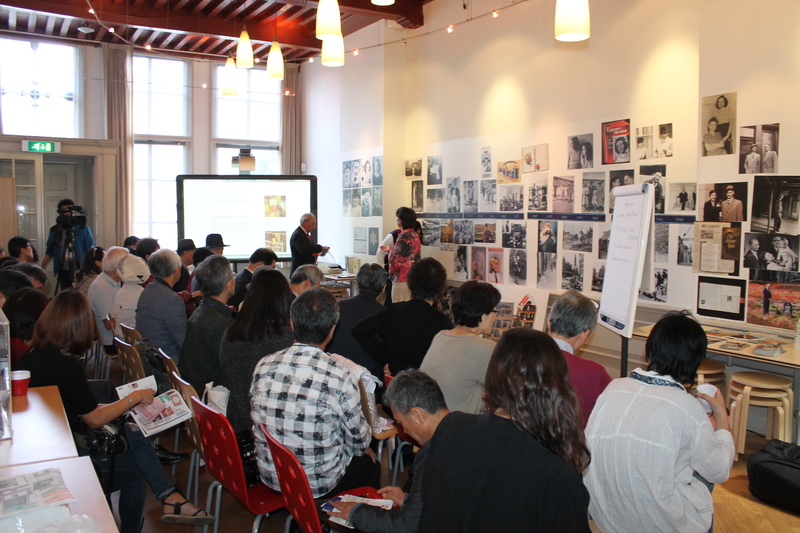 Together with the International History NGO for History and Peace they aimed to organise a Conference focusing on History and Peace. 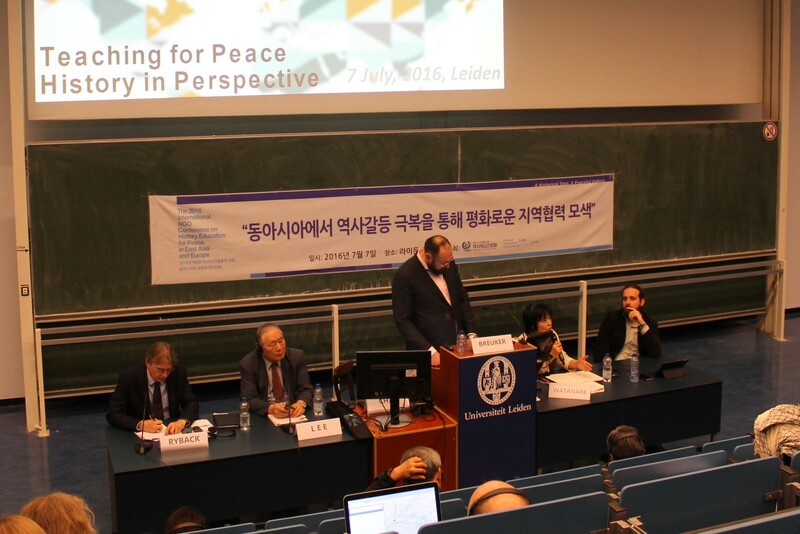 In many ways the goal of gaining a better common understanding of the role of international relations, history education and civil society in establishing sustainable peace in East Asia in a dialogue with Europe, was achieved. In the evaluation one of the participants concluded: "The conference was excellent in every regard. It was particularly rewarding to have such a large number of excellent Asian scholars. I might note in particular the excellent presentation by Daching Yong, as well as the moving address by the elderly Korean woman who relayed her experiences with such emotional and moral force." EUROCLIO devoted an article to each day, with an emphasis on the daily focus. If you would like to continue reading about Historical Justice in Europe and East-Asia, the history of colonialism and World War Two in Europe and East Asia or Global History in the 21st Century, please follow one of the links. Key Note speech by Prof. Dr. Antoon de Baets, followed by presentations, and visits to The Hague - City of Peace and Justice. 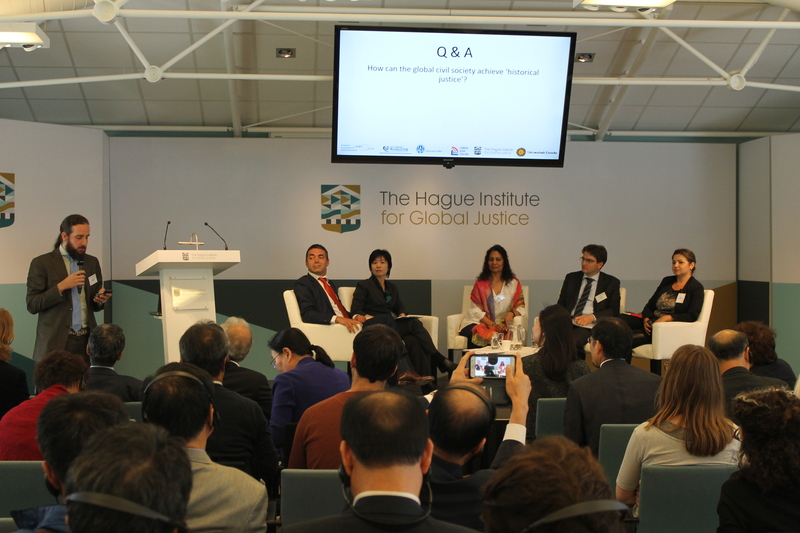 Report: "Teaching about Historical Justice at the Europe-Asia Conference in The Hague"
Report: "Comparing and Contrasting European and East Asian History"
Report: "Teaching for Peace in Practice – Challenges and Opportunities"
Many tensions in the world are rooted in history and the way in which it is learned at school, perceived in public, and addressed politically can be seen to either resolve or sustain these tensions. This is in particular the case for East Asia, where history is at the top of political and civil agenda, aiming to address territorial disputes, controversial commemorations and historical interpretations. Also history education, in particular textbooks, is constantly in the spotlight. The annual International NGOs Forum on History and Peace, co-organized by the International History NGO for History and Peace, already since 2008 is a unique platform for cooperation among thousands of representatives of civil society, education and research with a focus on strengthening cooperation between China, South Korea and Japan, as well as fostering co-operation across East Asia and beyond. With many strong civil society partners, the Forum has initiated and partnered on a variety of projects and partnerships, which include the production of joint history textbooks, youth and teacher exchanges. The Forum has also always sought to connect with political representatives, civil society, experts and educators from across the world. It has worked closely with different key organisations and expert on history in Europe. In the particular case of Europe, the Forum aimed to compare and contrast pathways to truth-seeking, historical dialogues and reconciliation, as these have manifested themselves in Europe. One of the key European partners for the Forum has been, since 2009, the EUROCLIO - European Association of History Educators. This association, established in 1992 and connecting over 30.000 professionals from over 50 countries, supports the development of responsible and innovative history, citizenship and heritage education as a way to promote critical thinking, mutual respect, peace, stability and democracy. The Association advocates a sound use of history and heritage education towards the building and deepening of democratic societies, connecting professionals across boundaries of countries, ethnicities, and religions. It seeks to enhance the quality of history and citizenship education through capacity building for educators and producing and implementing innovative teaching tools. EUROCLIO, the selected host for the International NGOs Forum on History and Peace, is proud to welcome history educators, researchers, civil society activists and political representatives from Europe, East Asia, and beyond, to come to The Hague, an International City of Peace and Justice, on 6-8 July 2016 in order to gain a better common understanding of the role of international relations, history education and civil society in establishing sustainable peace in East Asia in a dialogue with Europe.